This place is in GREAT shape ! beach, Marginal Way and Perkins Cove. pines, and a gas grill for your use. movie collection (approx 160 titles). fire, especially for those cooler evenings or seasons. Park the car and leave it for the length of your visit ! 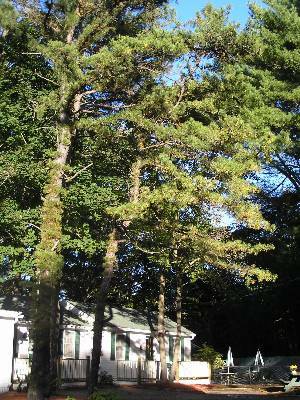 Such a peaceful setting under the pines. Enjoy a picnic lunch by the grill or a peaceful afternoon read on the front porch or by the pool. The cottage faces South, so gets great sun all afternoon. All appliances brand new. 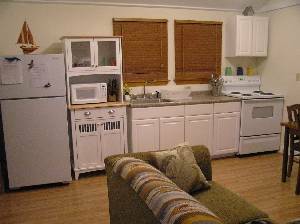 Full sized fridge/freezer, full-size stove, microwave, food processor, blender, toaster, cookware, tupperware, complete dishes. New windows installed throughout in '05. New propane fireplace keeps the cottage toasty for that off-season getaway. New Queen size bed with ample storage draws underneath. Enjoy a silent night's sleep after another day of fresh sea air. Association pool shared with only 8 other units. 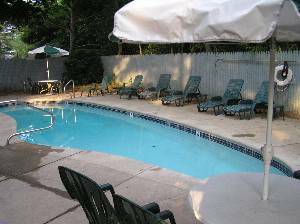 Fully renovated cottage and only 20 steps to the pool. Cape Neddick photo taken in Sept, just south of Ogunquit. 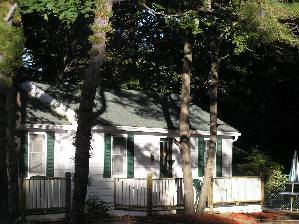 I rented this cottage for a 3 day weekend in December of 2007. It was perfect! 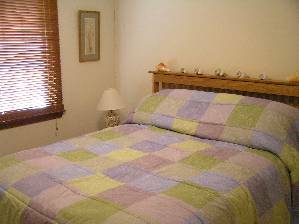 The cottage was cozy, had everything I needed, and it could not have been cleaner. 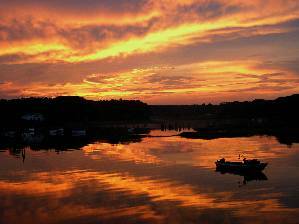 The location was perfect for me -- about 3/10's of a mile to the beach and a short walk to the center of town (Ogunquit). The owner was very helpful in providing easy walking directions to the beach as well as other places close by and even suggested a place to get a great cup of coffee and muffin/breakfast in the morning! It was an unusually cold and windy weekend but the gas fireplace kept the cottage toasty warm and it made it feel even cozier than it already was. I love visiting the Maine coast in the winter and these accomodations were better than I envisioned! The cottage looked exactly like the pictures show. It was perfect for me. I would highly recommend renting this cottage. 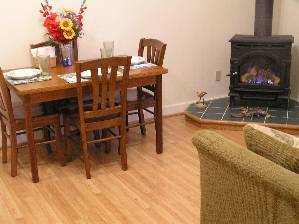 It's absolutely perfect for anyone looking for a warm and cozy winter get-away. Available for Off-season & Winter rentals. Fully Winterized. Ask about our free Restaurant Gift Certificates !